I know I said no new blog posts until I’ve handed in my dissertation. I lied. 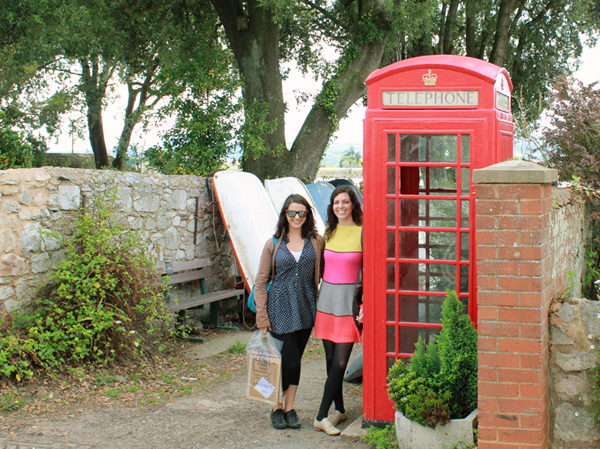 In desperate need of a break and a respite from writer’s block, my friend Sammi and I decided to hop a train to Devon to visit the fabled Topsham Museum. 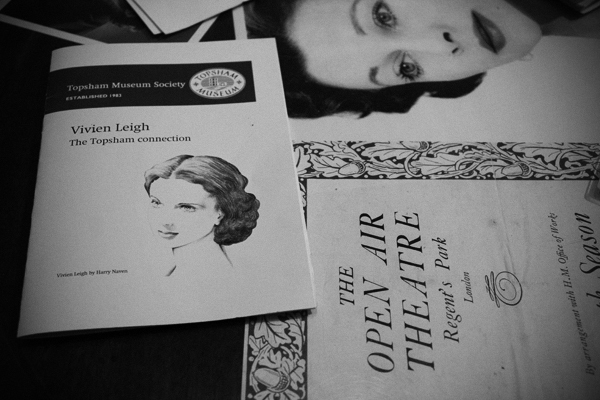 I say “fabled” because I’ve yet to meet any other Vivien Leigh fans who have been there. 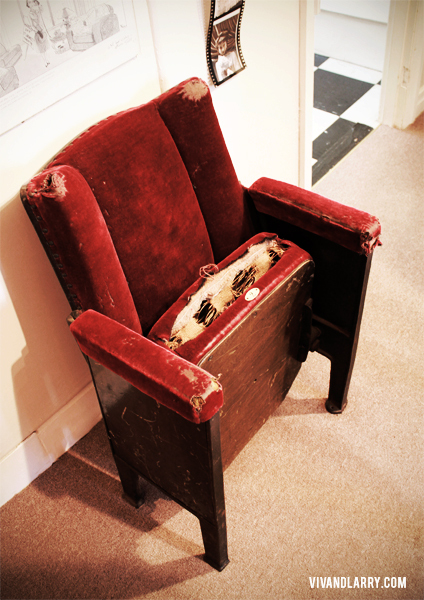 Well, it turns out we weren’t special after all because, as curator Rachel Nichols informed us, fans from all over the world visit the quaint hamlet near Exeter just to see the Vivien Leigh memorabilia on display in their museum. This includes her daughter Suzanne Farrington, who visits a few times a year. What’s the connection? 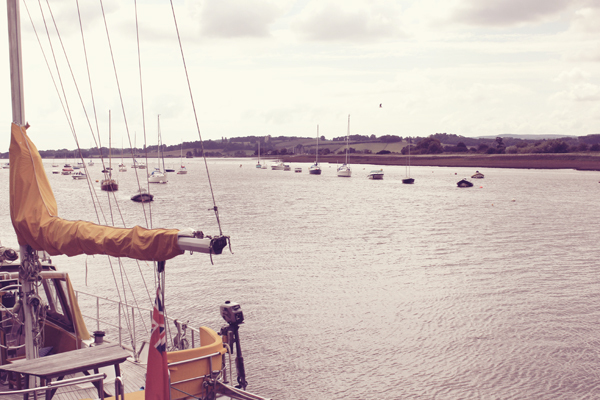 Topsham is a picturesque port village on the River Exe with roots that date back to Roman times. 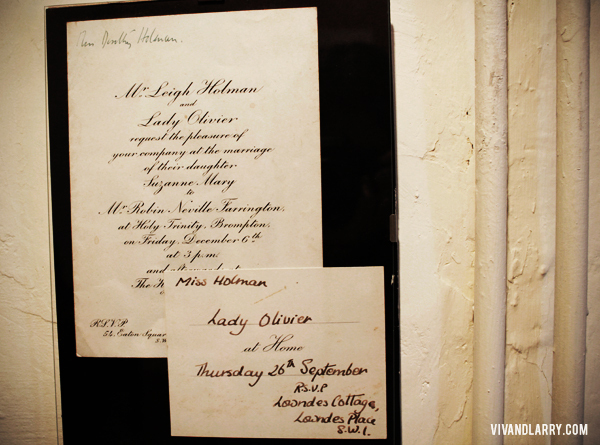 The Holmans, whom Vivien Leigh married in to in 1932, were thriving ship builders here in the mid-19th century. Leigh Holman’s sister Dorothy lived in a massive house at 25 The Strand, and Suzanne used to spend holidays here. 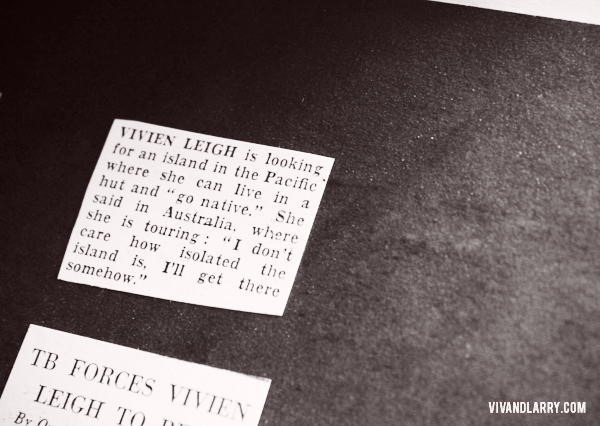 There are stories of Vivien coming to visit Dorothy on occasion in the 1940s and 50s (no word whether or not Larry Olivier ever tagged along). Members of the local youth club, which Dorothy founded in 1939, remember Vivien stopping by to play table tennis and offer practical advice about acting. 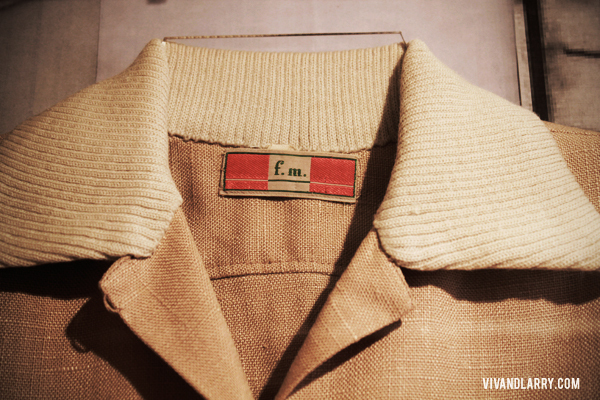 In the 1960s, Dorothy decided to turn her home into a museum about local culture and history. Hearing about her aunt’s plans, Suzanne donated several items of her mother’s to be put on display. 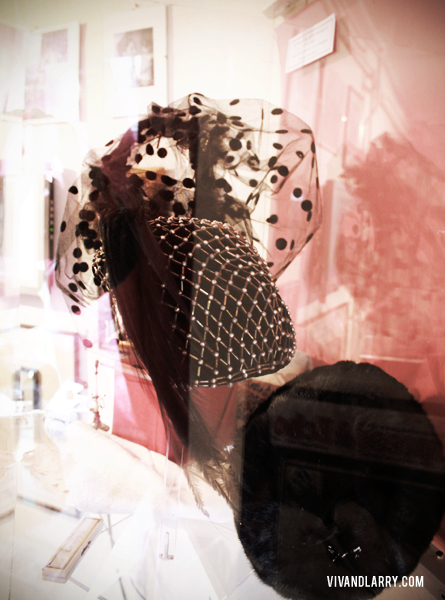 Suzanne and/or Dorothy have also donated Vivien’s belongings to a few other museums in Exeter. 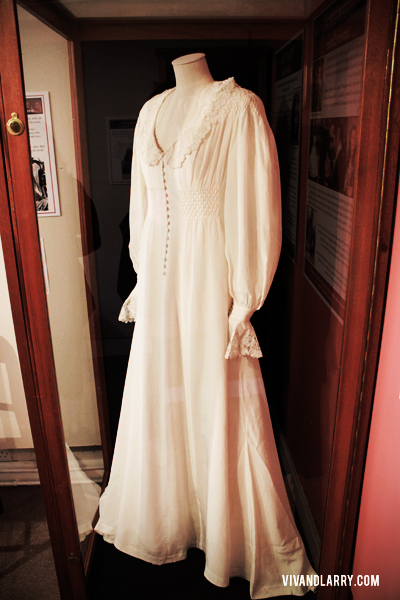 The prized piece in the Topsham collection is the silk nightgown Vivien Leigh wore as Scarlett O’Hara in Gone with the Wind. 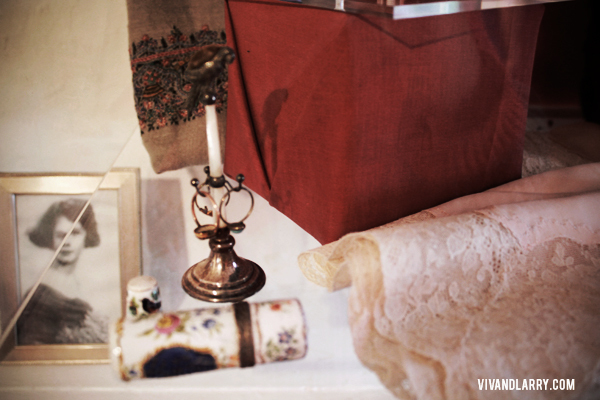 After filming wrapped, Vivien was allowed to keep two costumes from the wardrobe department. 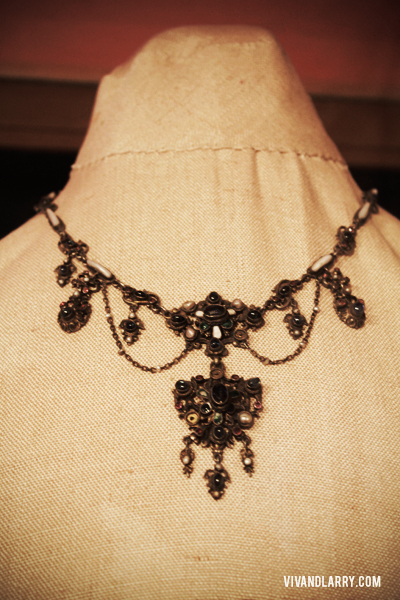 This was one of the pieces she chose. 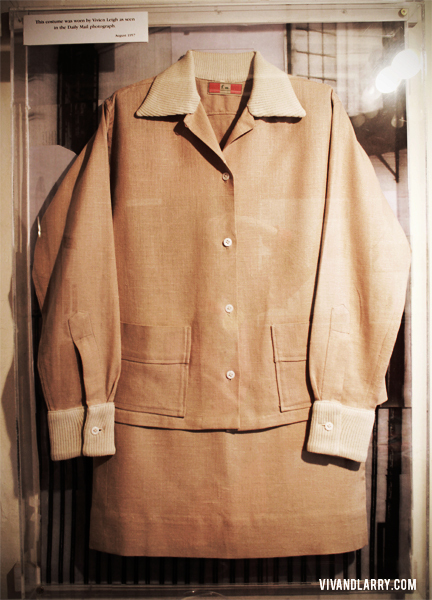 Rachel told us that she discovered the nightgown in the bottom of a chest at the back of the museum and that it still held traces of Vivien’s perfume. 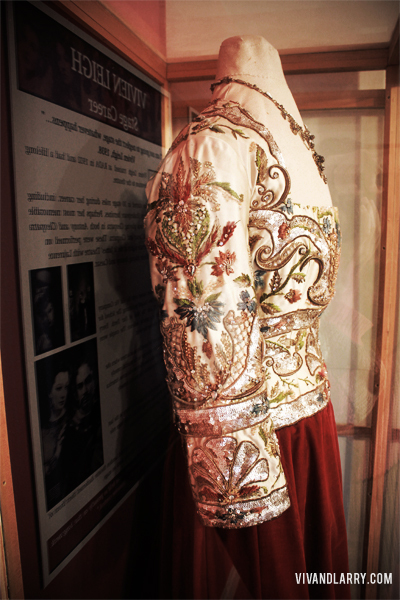 This dress is switched out for a replica every few months, which is the version we saw on our visit. 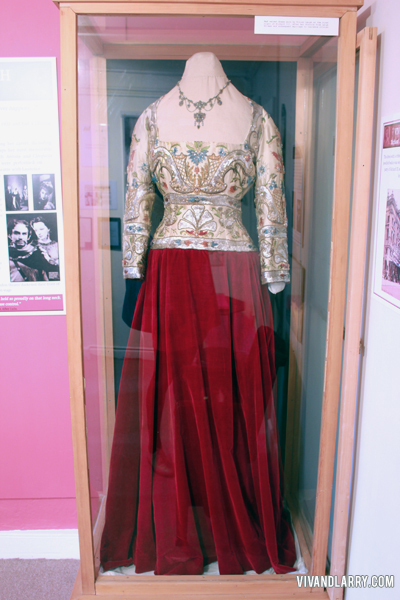 Other items in the exhibit include the gown Vivien wore to the London premier of Richard III in 1955 (this was my personal favorite, it’s so beautiful), a chair from the St. James Theatre, a tan day-suit, Letters from Vivien to Dorothy, including an invitation to Suzanne’s wedding to Robin Farrington and a calling card for Lowndes Cottage, a veiled hat and fur muff, a scent bottle, a cashmere stole from India and a silk square Vivien used to cover her dirty clothes at the end of the day–a habit she picked up at the convent school in Roehampton as a child. It was a real treat to get to see these things up close and in person, and the staff at the museum could not have been more friendly. If you’re ever in the Westcountry or just feel like venturing out to see this museum, I’d definitely recommend it. The town itself is beautiful and the museum adds a nice extra touch. I’m so glad fans travel all the way there just for Vivien. It’s certainly a testament to her lasting power! Photos open in lightbox. WOW! It looked like you had so much fun! I would love to visit London. Hmm I might just have to make that my next trip. Providing I have enough money lol. Thanks for sharing. It was a lot of fun, and luckily the weather was nice! 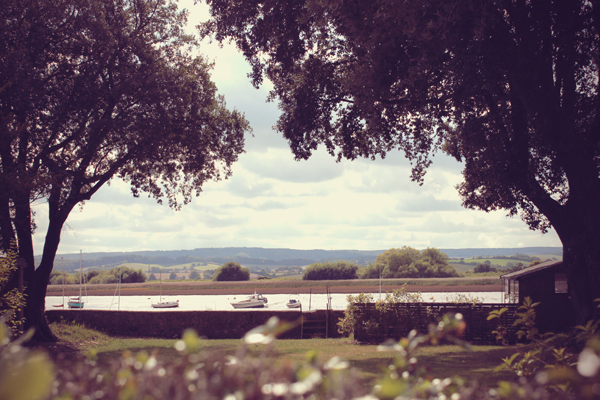 Topsham is a good 2 1/2 hours from London by train, but London is nice, as well! Thanks, Marissa! I wish you were here to join us! PS, have you ventured out to CA yet? I wish I could have gone with you guys, too! I leave for CA in 2 weeks! I’m quite jealous, actually! I bet the weather will be fab! Have fun and good luck at UCLA! 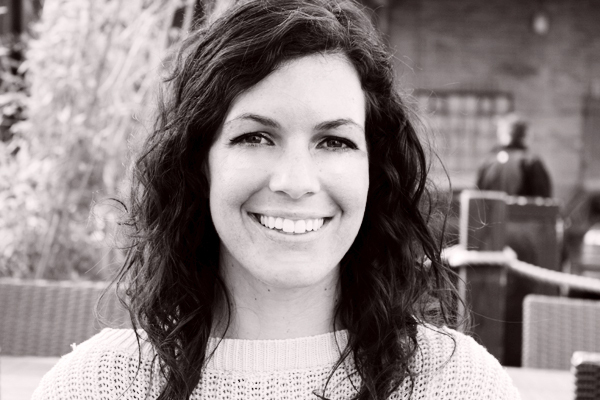 Hi Kendra! Hi Sammi! Aaaaw looks like you had a fun trip, I’m a bit jealous ;) but happy for you too! –What is your most cherised posession? 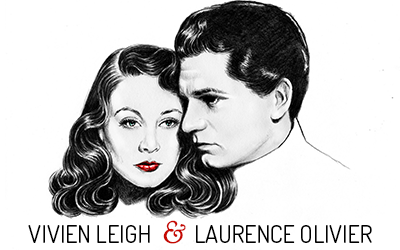 – “A leather-bound book of Shakespeare’s sonnets given to me by my godparents, Vivien Leigh and Laurence Olivier, with handwritten Shakespearean quotes inscribed by them on the leaf”. Ooh, thanks for the link! I was never sure whether or not Larry was Juliette’s godfather. I know he was Jonathan Mills’ and Halye Mills’ godfather, but…yeah. Incredible – its great to discover that smaller museums like these can hold such wonderful collections and attract visitors from all over the world! I agree! It’s quite out of the way, as well, so i was glad people make the effort to get out there! 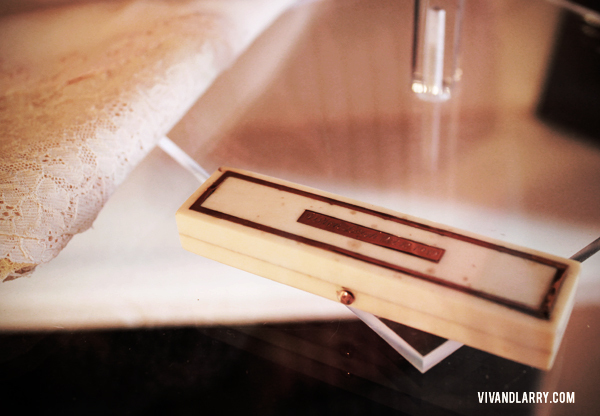 They’ll be doing a big exhibit for Viv’s 100th birthday in 2013. Hmm, I wouldn’t say that, really. I’m certainly concentrating more on Viv at the moment with all of my dissertation stuff but I haven’t forgotten about Larry by any means. Thanks, Kendra I really enjoyed the photos! I think you had the right idea, sometimes you just need a break. I’m sure your dissertation will be great. Hope you post it, I would love to read it! Just for the record, Noel Coward was Juliet Mills godfather. Although I didn’t saw any of her movies, from the people I know who watched some of her movies they tell me she was a great actress and fans adore her. 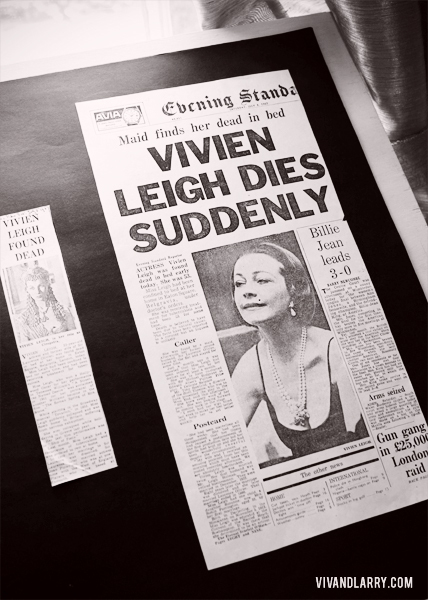 There was no doubt that even in her death she is still remembered by many. 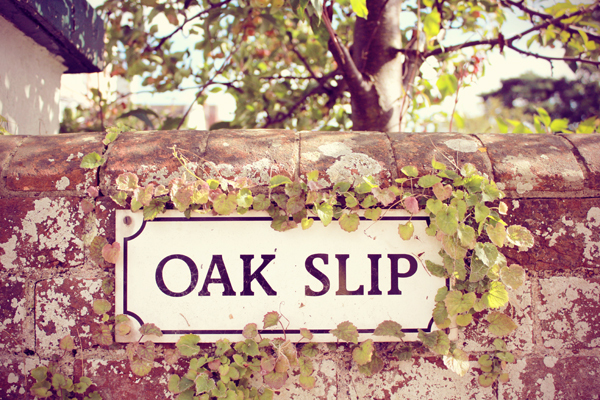 Just goes to show there are still little gems around in the British Isles! I enjoyed reading through this website. I shared a year in the Museum House on The Strand with Dorothy Holman (I was her caretaker) and she taught me so much in that time. 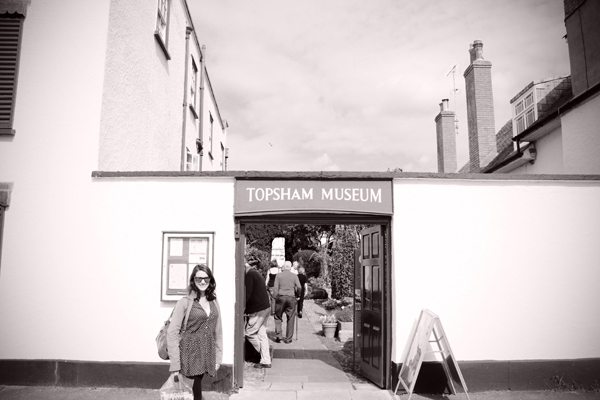 Very fond memories of Topsham! 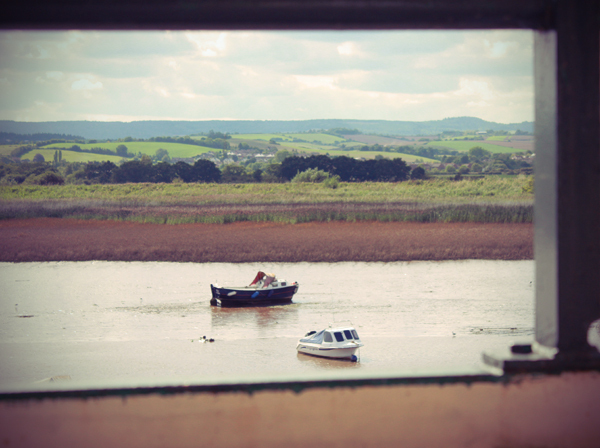 Just to let you know Kendra, a copy of your book is now kept at Topsham just opposite the nightgown. It looked well thumbed through, so it must be very useful for staff to help answer questions. 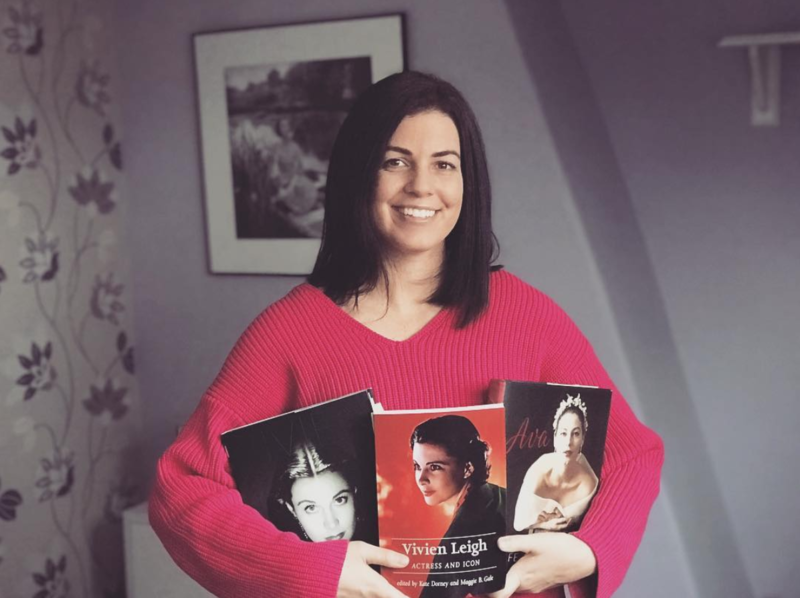 The lovely volunteer started to tell my Daughter Daisy all about who Vivien was…I had to stop him and tell him she is the only five year old I know who has watched GWTW and when it ended asked immediately to watch it again! !